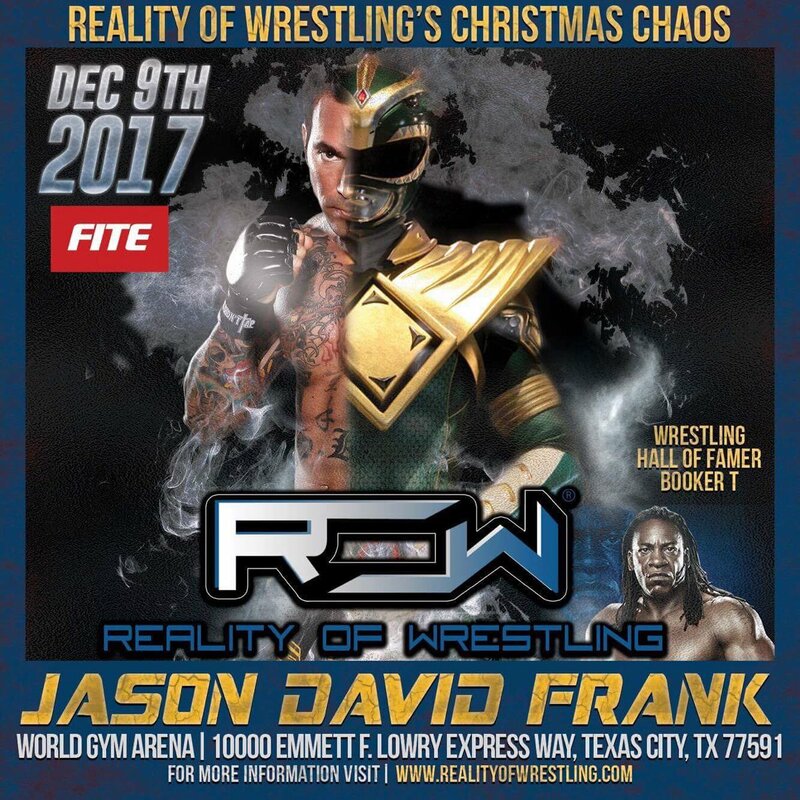 Jason David Frank, the MMA fighter best known as the Green and White Rangers from the original Mighty Morphin Power Rangers, is slated to make an appearance at a professional wrestling event. The December 9th event is titled “Christmas Chaos,” and is being promoted by WWE Hall-of-Famer Booker T’s Houston-based wrestling promotion, called Reality of Wrestling, or ROW. ROW is partnering with FITE TV to stream Christmas Chaos, which will be the promotion’s first pay-per-view event. HOUSTON, TX – August 21, 2017 – Reality of Wrestling is proud to announce that we will be bringing our weekly episodic show to FITE TV, the streaming leader in combat sports, starting in September. Reality of Wrestling has been the “flagship of Texas wrestling” for the past five years, and now ROW founder Booker T looks to expand the reach of the television show and compete with all independent wrestling shows around the world. FITE TV will also serve as the exclusive home for Reality of Wrestling’s pay-per-views and ROW will stream its first ever live pay-per-view event on FITE on December 9th, 2017 with its annual Christmas Chaos event. This year’s Christmas Chaos will be the biggest event in the company’s history and will feature an appearance from actor and marital artist, Jason David Frank, known world round as Tommy Oliver, the Green Ranger from the 1990s series Mighty Morphin Power Rangers.